ULTIMATE ‘SELF ALIGNING BUSHES. 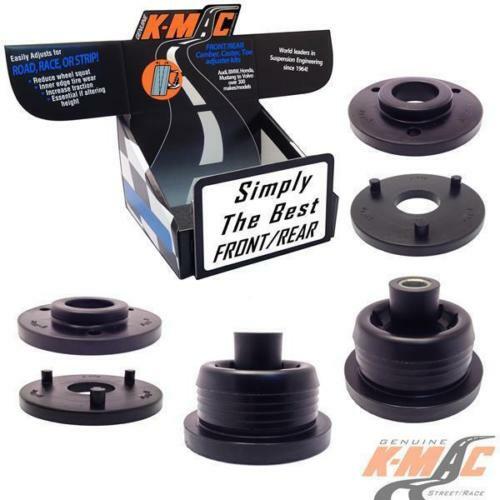 Replaces OEM “Oil filled” bushes for dramatically improved Braking and Steering response. 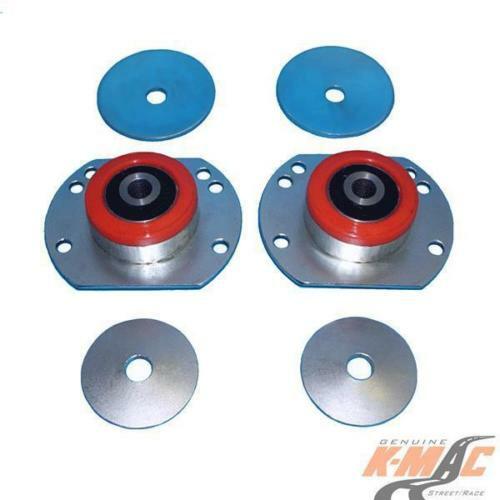 Eliminates premature failure – rattles / squeaks. 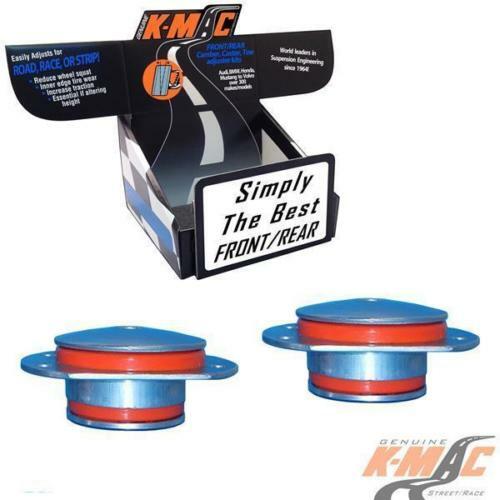 K-MAC – You Get What You Pay For Extra Heavy Duty design. 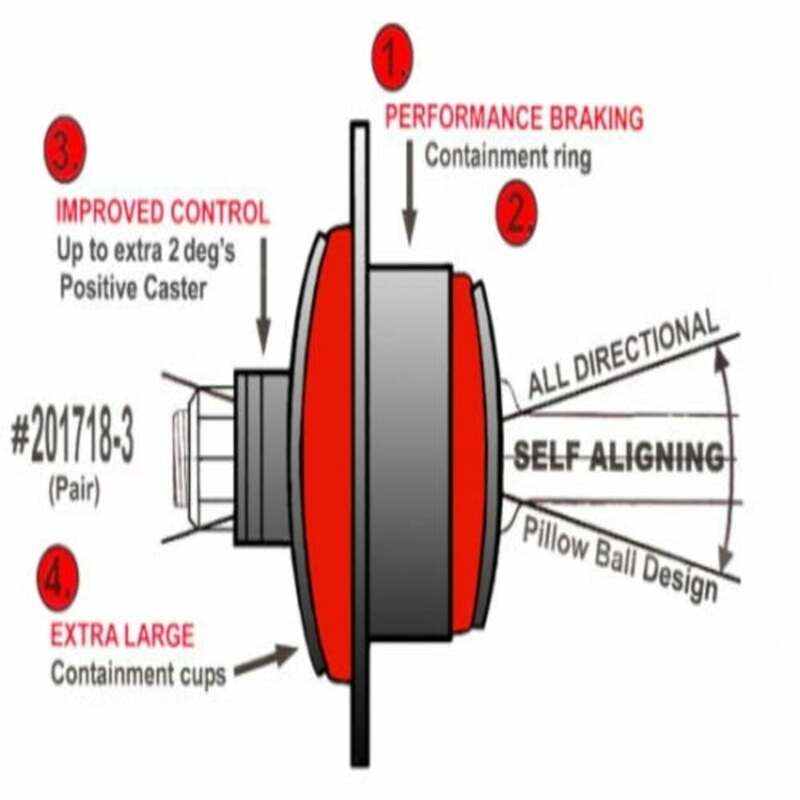 Featuring Performance braking containment ring and “all directional” self aligning pillow ball design for improved control. WITH EXTRA CASTER ADJUSTMENT Up to “2 deg’s extra Positive Caster” for increased Hi-Speed directional control. Better turn in and improved anti-dive / lift. NOTE: Because of cost cutting and the ever increasing speed of vehicle assembly lines virtually all today’s autos only have Front and Rear “Toe” (directional) adjustment. No Camber or Caster allowing to change tire “contact angles”. SUSPENSION BUSHINGS: 1st Item to fail ! 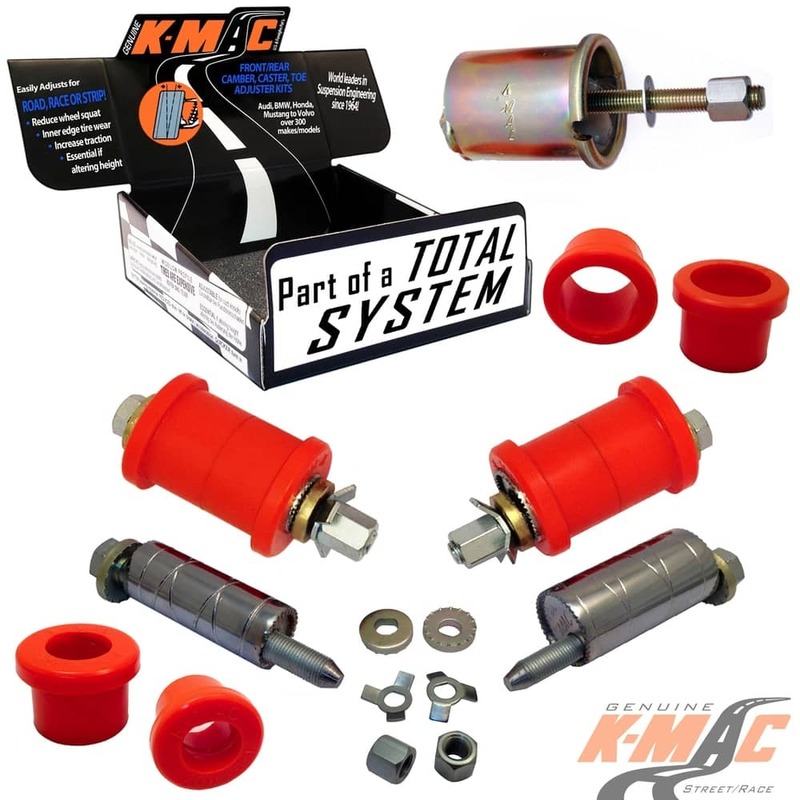 K-MAC have the experience of designing, manufacturing uprated performance bushings longer than anyone else (1964). It shows with the unique bushings having 3 to 4 times the load bearing area and also mono ball designs allowing “2 axis” /self-align movement without the use of OEM oil and air voids. 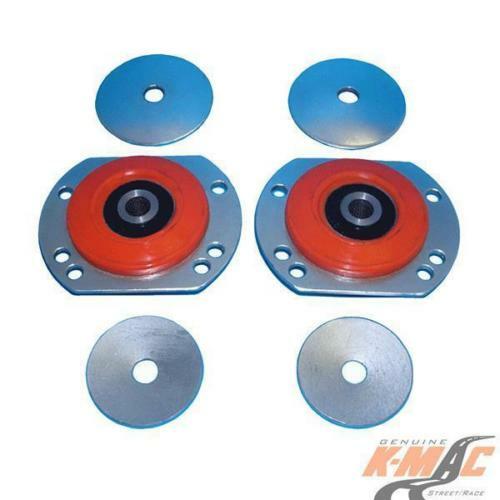 Result is significantly improved traction under braking and steering response. 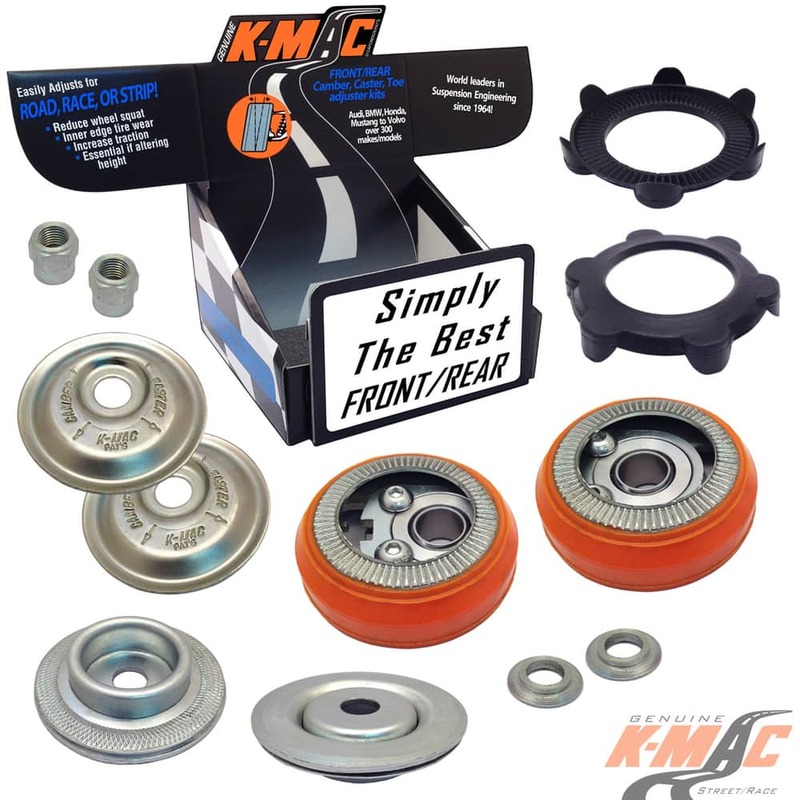 This combined with most K-MAC bushings also being precisely Camber and Caster adjustable.